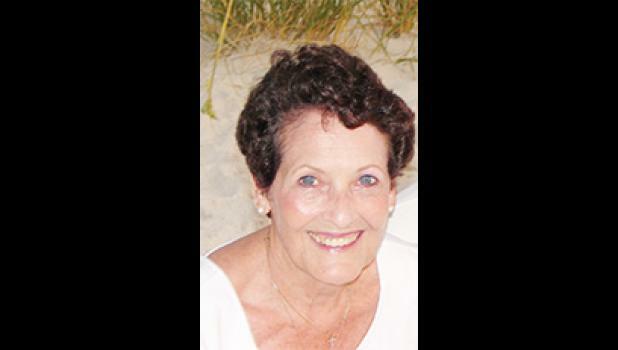 Loretta Sloan Littlejohn, of Mountain Brook, passed away on Monday, August 27, 2018. She was born in Greer, South Carolina, on January 3, 1935, to Florence Stokes Sloan and George Robert Sloan. Loretta was a devoted wife, a loving mother and grandmother (Retta), and a loyal member of Brookwood Baptist Church. Loretta and Monty raised their daughters in Columbia, South Carolina, Atlanta, Georgia, and finally in Birmingham, Alabama. While she was working at Samford University, she fulfilled her lifelong dream of attaining a college degree. She continued her education by getting a Master’s degree at University of Alabama in Birmingham. She retired from Samford as a career counselor for students. During retirement, she remained active at Brookwood Baptist Church, particularly working with the Medical Apartment and Construction Mission ministries. (Ken), of North Wilkesboro, North Carolina; nephew, Kenn Compton (Joanne), of Matthews, North Carolina; niece, Kathy Compton, of North Wilkesboro, North Carolina; and great-nephew, John Compton (Taylor), of Charlotte, North Carolina. Loretta’s life will be celebrated at a memorial service at Brookwood Baptist Church on Wednesday, August 29, at 2:30 p.m., with a visitation preceding the service at 1:30 p.m. In lieu of flowers, please consider making a donation to the Brookwood Baptist Church Construction fund (3449 Overton Road, Birmingham, AL 35223) or Alzheimer’s of Central Alabama (P. O. Box 2273, Birmingham, AL 35201).